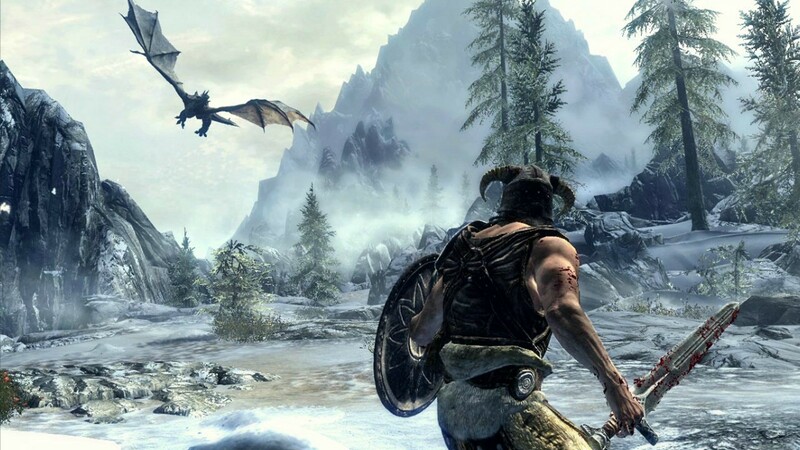 Bethesda have confirmed a less-than-ideal detail regarding their upcoming re-release of their 2011 classic, The Elder Scrolls V: Skyrim. The remastered version – officially titled The Elder Scrolls Skyrim: Special Edition – will not support old save files created on previous-gen consoles. 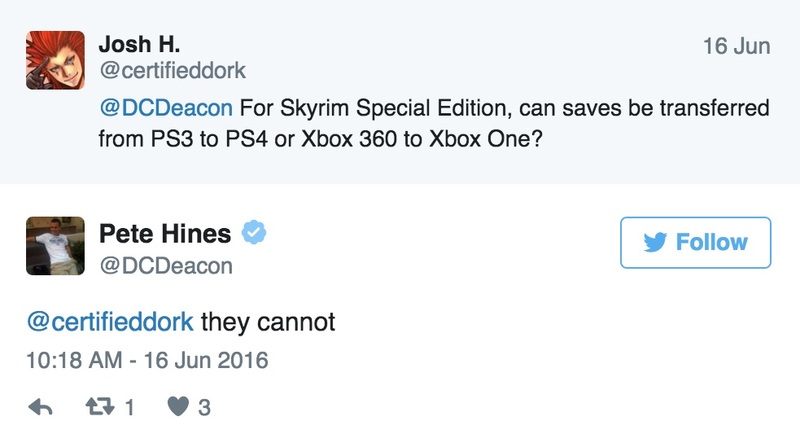 Vice-president of Bethesda, Pete Hines, confirmed this on Twitter, when he answered a fan’s question regarding the possibility of transferring save files. While this might be frustrating to fans who have invested hundreds of hours into the original game, it will provide an opportunity to ‘start fresh’, and we must be understanding of the fact that the inherently different data structures of the console generations makes the transferring of save files difficult and complex. The Elder Scrolls Skyrim: Special Edition will release on October 28 for Xbox One, PS4 and PC.